The cleaning independent contractor agreement is a detailed agreement which is used to separate your IC's from Employees. Make sure you have one for IRS purposes. 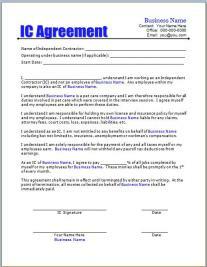 Included in this agreement is payment information, insurance responsibility, job responsiblitites and more. This form can be sent to you via email (immediate download).